Why You Need to Be Careful Buying Your Streaming Device from a Big Box Store . . . I recently stopped at several big box stores around my hometown this weekend. What I found should not have been a surprise. 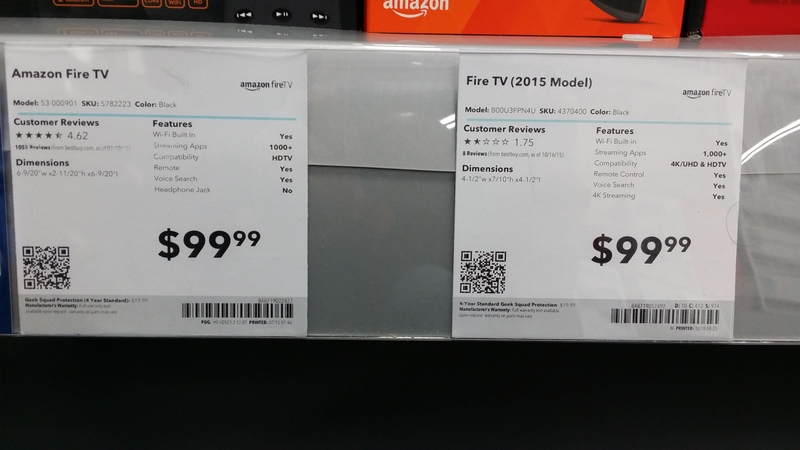 Several different stores had both the new and old models of the Fire TV, Chromecast, and Roku 3 for sale. Many of them sold the old streaming devices at the same price as the new ones. Here is your quick guide to make sure you buy the newest streaming box when you shop in a big box store. 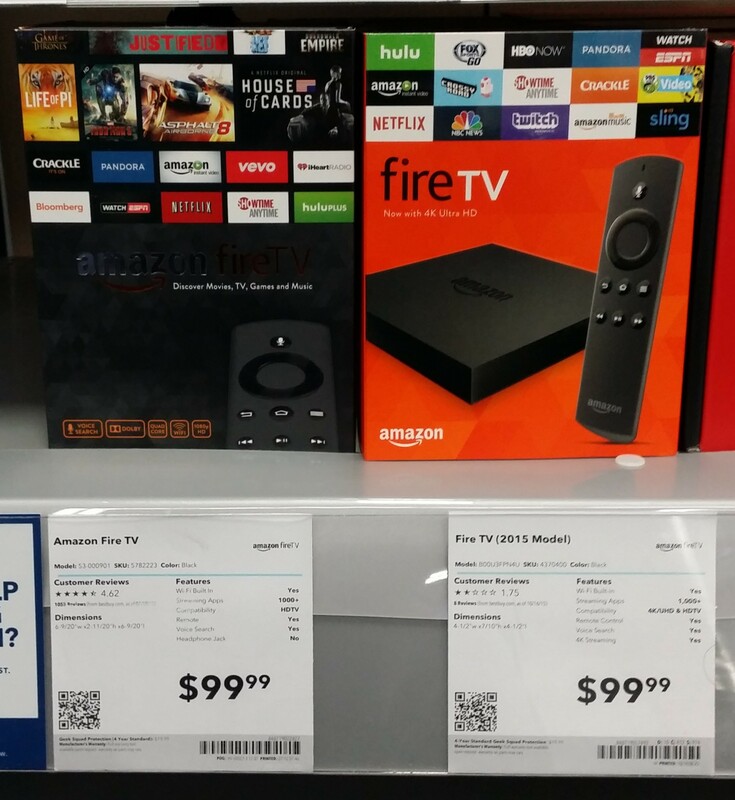 As you can see this store has both the old and new Fire TV for $99.99. Thankfully they have what is new and what is old clearly marked. If you are unsure, make sure the new Fire TV box has a reddish background. The main difference between the old Roku 3 box and the new one is the number of streaming channels listed. 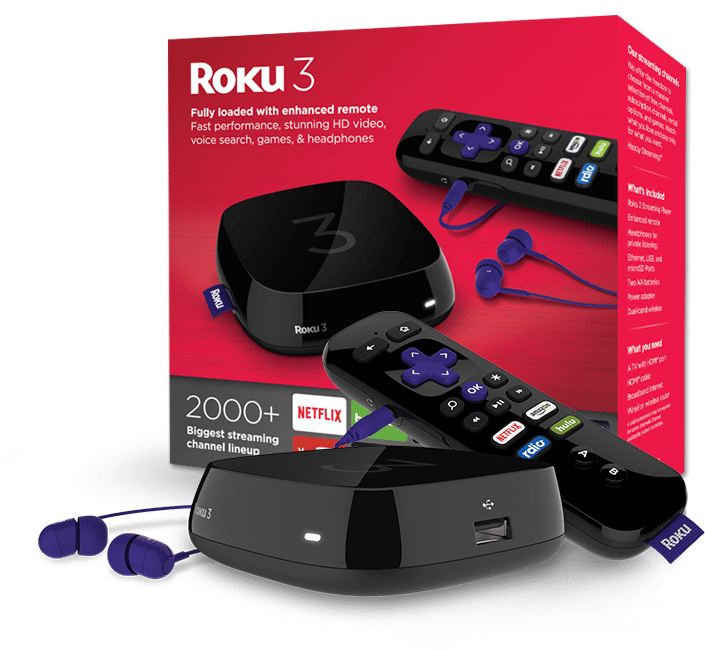 The new Roku 3 boxes say 2000+ channels. The old Roku 3 boxes say 1500+ channels. Also the description under the Roku 3 for the new device will mention voice search. 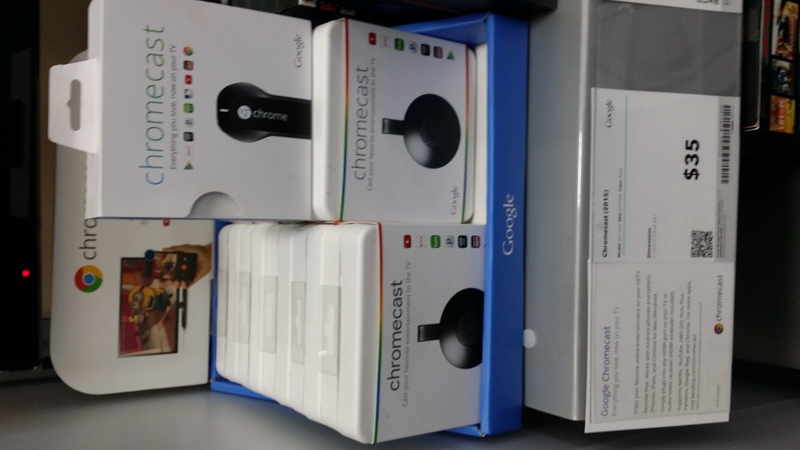 From what I saw it was common for stores to have both the new and the old Chromecast selling for $35. 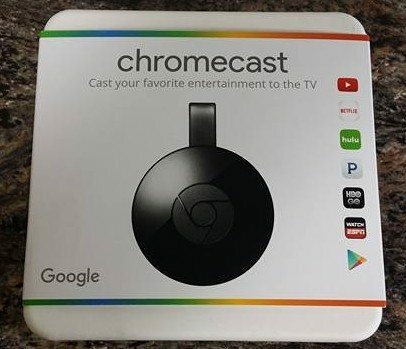 The best thing to do is to make sure the image on the box shows the new round Chromecast shape and not the stick. 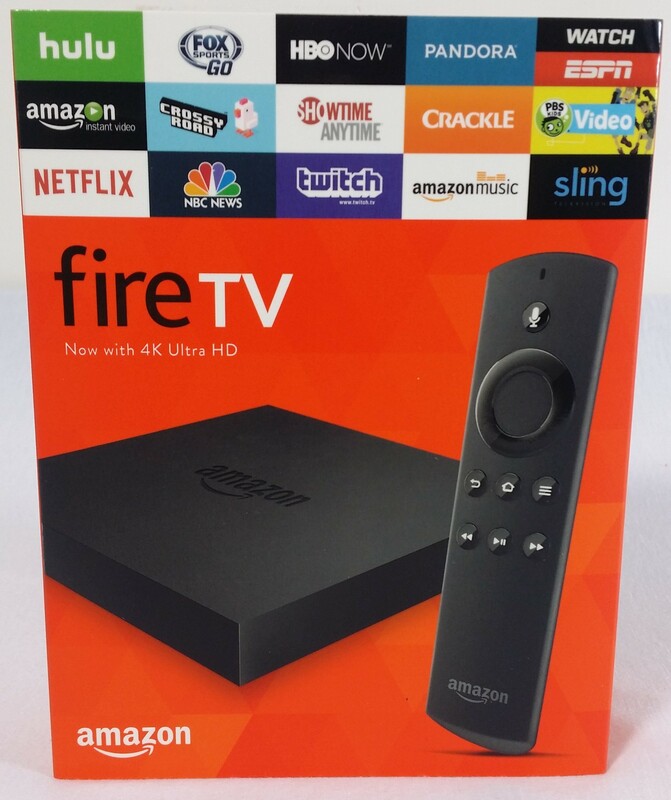 If you are shopping for a new streaming box a local store is a great option. Just make sure you know what you are looking for. 2 Responses to Why You Need to Be Careful Buying Your Streaming Device from a Big Box Store . . .
Another downside is the sales people and their preferences, my brother-in-law loved my android TV box and went to Big Box to pick up instead of ordering online. After talking to the sales guy for a while he was convinced he had made the right choice with a Roku. This is despite the fact that he specifically wanted to run Kodi, which doesn’t run on Roku.